Independent recording artists: Ivory Tower Project are a new breed of old school rockers. New music with a retro sound inspired by the great Classic Pop/Rock artists of the 70s and 80s. Their debut CD: ‘Red Hot’ received rave reviews and airplay on over 700 stations in 32 countries. Their recently released sophomore CD: ‘How Much More?’ has more critical acclaim and is catching up to the debut in airplay. 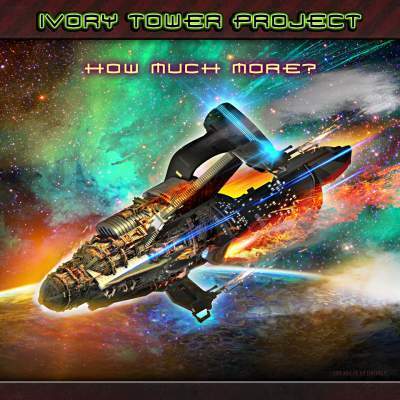 Everyone wonders “How Much More?” sometime in their life, but not everyone has been challenged like the members of Ivory Tower Project have been, making this a very fitting title for their latest album. The New York-based vintage rock band, led by Mark Regula (vocals, keyboards, acoustic guitars, percussion, bass and drums) and Tony Novarro (guitars, backing vocals, bass, percussion, drums and engineering) and featuring the late lyricist: Johnny Jace, packs a powerful 80s pop/rock punch in its music. has persevered and kept Ivory Tower Project alive and growing. Longtime collaborator, friend and studio guitarist: Tony Novarro stepped up and became a strong partner.